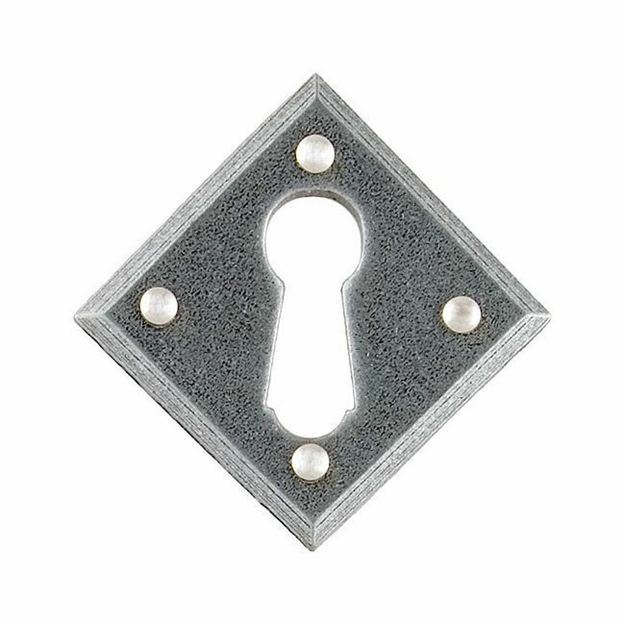 Pewter Diamond Key hole cover. The Diamond Escutcheon is part of the Monkeytail range by From The Anvil. This diamond shape escutcheon is designed to work alongside the Monkeytail handle on a diamond rosette with a standard mortice sash lock. Covers up the key hole and gives the door a complete finish.